The Industrial Revolution has escalated into all-out warfare. Sixteen years have passed since the Heterodyne Boys, benevolent adventurers and inventors, disappeared under mysterious circumstances. Today, Europe is ruled by the Sparks, dynasties of mad scientists ruling over - and terrorizing - the hapless population with their bizarre inventions and unchecked power, while the downtrodden dream of the Heterodynes’ return. At Transylvania Polygnostic University, a pretty, young student named Agatha Clay seems to have nothing but bad luck. Incapable of building anything that actually works, but dedicated to her studies, Agatha seems destined for a lackluster career as a minor lab assistant. 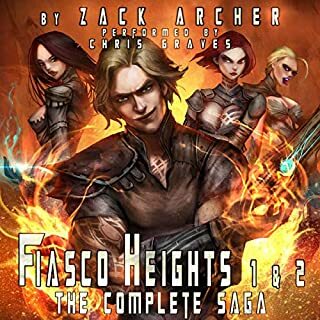 But when the university is overthrown by the ruthless tyrant Baron Klaus Wulfenbach, Agatha finds herself a prisoner aboard his massive airship Castle Wulfenbach - and it begins to look like she might carry a spark of Mad Science after all. ©2011 Phil Foglio (P)2011 Brilliance Audio, Inc. 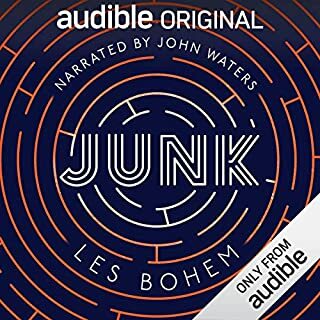 Ever wanted visuals while audio book listening? 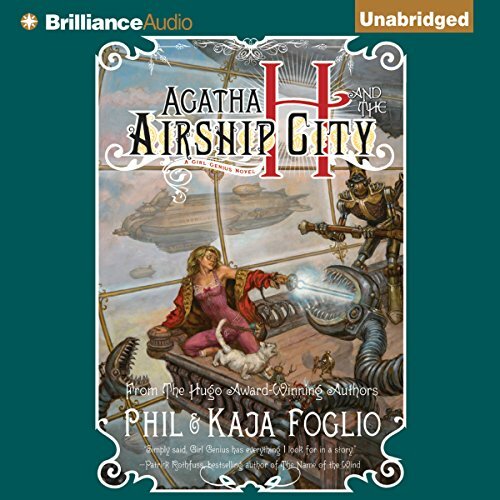 What did you love best about Agatha H and the Airship City? Loved the story, but discovering that I could look at the online comic WHILE listening made for a fully immersive experience. I have often wished for images to go along with audiobooks and this has almost the whole story illustrated. FANTASTIC. Jägermonsters are probably my favorite. All of the characters have pretty well rounded development. Climatic scenes where Agatha's clanks come to the rescue are pretty exciting. This book is great fun. The authors have created a very unique world populated with interesting characters and plot that moves along nicely and makes it hard to put down. Although it is a tough world, the book does not take itself too seriously, and it had me laughing out loud quite a few times. The narrator is really good with fitting voices for the various characters. In particular, it is hard to not smile whenever the Jeagermonsters (sp?) say anything. I heartily recommend this book for all ages, as it has a rating of about PG I think. I hope it isn't too long before the next book comes out and that Ms. Dawe will narrate it. Yes, the lighthearted story is engaging and fun, the dialog is quick and witty, and the 10 hour listen slips by (almost) effortlessly. The "almost" refers to the first couple of chapters, dedicated to introducing many of the major players. Unfortunately, the main characters are thrown together with several unimportant ones in the beginning, and there's no real hint as to who is important vs. who is not. In the first chapter alone there are at least 9 different characters, each with some background given. While this works fine in a print book (or web comic), where you can easily flip back and brush up on background, it fails miserably in an audio book. Unless you are extremely focused while listening to the first chapter, you will have to go back and listen to it again. I picked this up as part of a 3 for 2 credits sale based primarily on the listener reviews. I did not realize until I was nearly three-quarters in that it originated as a web comic. That said, listen to the first chapter, then read through the web comic for "review" rather than listening to the chapter over. Once you get past the introductory chapter and get a feel for the characters, the book flows almost perfectly. The humor and witty banter between the characters. While a totally different style, it reminds me a bit of Josh Whedon's work, especially Firefly/Serenity. "Moved" may be a bit strong for a comedy/fantasy, but the interaction between Agatha and Gil is really cute and well done. This book is so much fun! The characters are well-developed, the world is a fascinating alternate universe, and I can't wait to find out what happens in part two (soon, I hope). Ms. Dawe has a great range. The Jaegermonsters are hysterically funny, and Crosp's voice is perfection itself! It's hard to believe this is just one person narrating. I certainly hope the same narrator will be used for the sequel(s). This was a terrific story with a really excellent narrator. I had not read any of the Foglio?? ?s works before and wasn?? ?t sure what to expect. I wasn?? ?t disappointed in the least. The world building is well done as is character development. There are a lot of very quirky and downright strange characters and a lot of humor. Something mysterious is happening in this world which is slowly being revealed. Out of curiosity, I went to the Foglio?? ?s website and checked out their ?? ?Girl Genius??? comic upon which this novel is based. While it is well done, my preference is for the novel. I like having more written detail and being able to create the characters and world in my own mind. 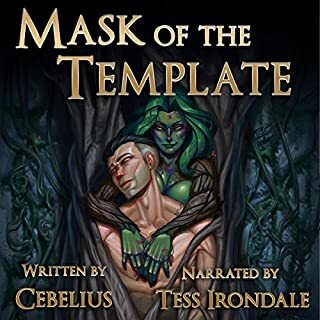 Angela Dawe is a wonderful narrator. I loved the way she created the voices and accents of the different characters. Each one distinct and easily identifiable. I was especially impressed with her male ???voices??? as I find that it is harder for a woman to create male voices convincingly, but Ms. Dawe does so impressively. I very much look forward to the next installment in Agatha H?? ?s story! Takes a while to get going mostly because they introduce a lot of characters. I literely was starting to wonder about the purchase half way thru the fiirst chapter. But once it got going I was riveted. Very impressive narration definately helped especially for a book like this. The world they create it unique, intriging, dangerous, colorful and unexpectly hilariuosl. You never no what to expect but some how always end up pleasantly surprised. If you enjoy steam punk don't expect this to be the same old same because it is anything but. I loved it and plan on reading the series. I discovered Agatha H on line some time ago - and as other reviewers have mentioned, this novel is pretty much the first few volumes, with a few deviations. Angela Dawe is perfect, her voices utterly convincing, and suited to each character. She really must do any following narration - even if her prior commitments mean that the audiobook would be delayed. It would be a sin to replace her. 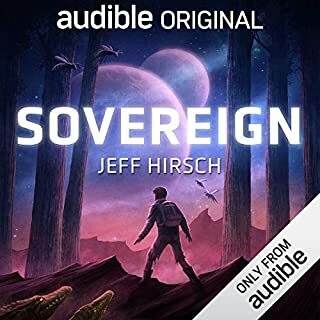 I resisted getting this audiobook at first, as I wasn't sure that I needed a retelling of what I'd already read (though, the blurb wasn't really clear enough that I could be sure that it would be a retelling of the story, at least to a certain point). However, I'm glad that I did, and it definitely augmented the webcomic. Further, it spurred me to re-read the entire story again online, which let me pick up things that I missed the first time around. This is the only female narrator I've ever heard who can do a believable male voice. Her interpretation of Gilgamesh Wulfenbach in particular actually changed my impression of the comic. Combine that with the inimitably whimsical writing style of the Profs. Foglio, and you get a minor masterpiece. 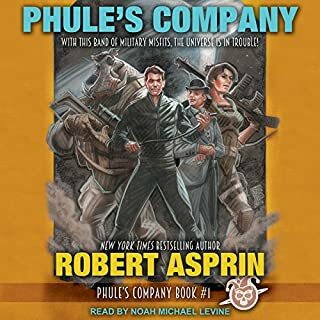 Probably a bad place to use a credit (it's one of the less pricey audiobooks), but a GREAT place to spend a few bucks for eight hours of straight-faced steampunk fantasy. If you're familiar with the work of the Foglios, you know that they have a style that can only be described as sincere silliness; that is to say, they are completely sincere, but when interpreted through a real world lens it is ridiculous. But it works. You can take it seriously while laughing at the absurdity. I knew nothing about this book and selected it based on the blurb. What a great find. 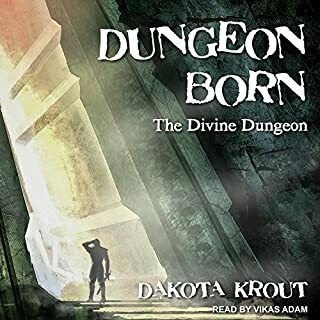 I enjoyed the story, the fractured world, and the characters, which were brought to life by the wonderful narrator. At times, I laughed out loud. Agatha is a great character. Even the bad guys are fun. The Jaegermonsters are the best bad guys I've encountered in a long time. I discovered after I had finished listening that the novel based on the compilation of three graphic novels about Agatha. And I think that explains the one major problem I had with the story and why I gave it a 4 overall instead of a 5. The book reads like a set of short stories, each complete unto itself and the transitions are abrupt. Characters come and go without explanation. When I was finished I was a bit confused by the end of the book, which kills off so many of the secondary characters I enjoyed. Agatha is on my list for future listening. She has sparked my curiosity. This just wasn't my cup of tea. I listened for over four hours, but could not get into. The world they created was a sort of cool Steampunk world and I can see lots of people liking it for that reason. The story was very simplistic. For example in the beginning the lab assistant is under pressure to clean the lab before an important member of the government comes in to make an inspection. She cleans everything up and puts it all in the closet. During the inspection, as expected, the closet gets opened and everything comes tumbling out. This prank is so old, it is embarrassing to see modern authors use it today. The characters seem to be written by someone with autism. I don't know if it was the narrator or the way it was written, but each line sounds like an announcement of some kind. At the end of each line is a pause so you can absorbed the announcement and we go on to the next. It was more that way in the beginning during most of the info dumps. If you just love Steampunk, you may want to give this a try. If you are luke warm or worse, maybe not. After reading the reviews of others, I see this started as a graphic novel. That explains a lot.